I wrote this in my introduction but i think more members will read it here and i fear it will become a longer thread. I have a Jeep CJ7 with the 304 engine, i want to implement a tbi systemof a chevy astro . "I could get my hands on the TBI injection system of a chevy with 4,3l engine and automatic gear.I could grab nearly everything without the VSS. The ecu is the 161 96395. So what do you think,can i implement this system in my Jeep? Problem i have right now is, i can not get contact to the ecu with usb ttl cable and all the diagnostic programms i have found. I connected the ecu to a battery, is there a minimum voltage for reading the ecu?, I can here the fuel pump relais and the ses light comes on when i connect to the battery!" Dave already showed the link on two threads with moates and here in the forum. What would be a good memcal for this car and this engine.Does somebody else already change the carburator of a 304 to TBI. A lot of questions --in this post. The 16196395 usually requires a VSS. The 16196395 can use a 2000 Pulses Per Mile VSS. The VSS Can Not be disabled in the .bin file. Maybe there is way disable the VSS with some wiring harness modifications? This link may be helpful. And you should try to find a V8 memcal. There are several options available for a distributor, and several options for connecting to the 16196395 computer. Last edited by dave w; 11-08-2018 at 05:28 PM. Hi Dave w thats exactly what I tried with the 8 pin module, but didn't work. I think the impulse from the reluctor and sensor is too weak or i have changed cables from module to distributor, i will try again! I thought it will not start becauseof the distributor conversion but now I think the fault is within my connections. This ecu is out of an astra with automatic gear. But I have a three speed manual gear, so there is no connection to the gearbox ecu. Which of the 10 gearbox connections do i have to connect , give 12v or earth to have the park nutrual switch simulated? Distributor conversion works now- i had notconnected the ground of the electronic. Next question: what will happen when i connect B10 (cruise control) to ground or plus? Will it work as a park nutrual switch? "Which of the 10 gearbox connections do i have to connect" - i saw on an other wiring diagramm these connections are for some solenoids insite the AT so I will forget them! I do not believe I've seen confirmation. On manual transmission applications it is not connected. The same could be done for an automatic. The older 1227747 TBI computer has a Park / Neutral wire. The 16196395 TBI computer does not have Park / Neutral wire. The option of using a VSS along with programming for Manual Transmission is a Very Good Option. I wanted to do that with means of eehack, but I can not get connection to the ecu. So I have to buy a programmer first. Next question: fuel pump should be able for 3bar but how much is the regulated pressure in the system. I have only about 1 bar! eehack is for the LT1 engine. eehack is Not for a TBI engine. The correct TBI fuel pressure is 1 Bar. Good post for TBI information: http://www.gearhead-efi.com/Fuel-Inj...Information-0D The post is for computer 16197427, the 16196395 computer is very similar. The 16196395 computer uses an EPROM Chip. Yes you are correct, an EPROM Chip programmer is required to reprogram a 16196395 Chip. EPROM Chips require a Ultra Violet (UV) Light to be erased before the EPROM Chip can be reprogrammed. Last edited by dave w; 11-14-2018 at 06:24 AM. Today i could get the engine running. But i have still the problem of no connection to the ecu. 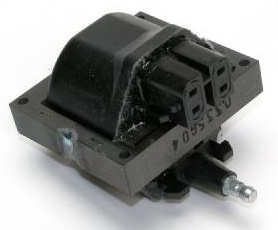 Who has the same type of ecu (16196395) and has connection to the ecu. Which data cable and which diagnostic programm do you use?Is there an other trick like connecting an additional resister, every hint is apreciated! To read the 16196395 chip (Binary File or .bin file) I use the Moates.net Burn 2. The Moates.net APU will also read the .bin file from the 16196395. To Data Log, I use an ALDL Cable and TunerPro RT software. The 16196395 computer not like newer computers that can be programmed (read / write) using the Diagnostic connector (OBD Connector). Last edited by dave w; 11-15-2018 at 01:55 PM.